Opis: NGC 4603, a galaxy with majestic spiral arms and intricate dust lanes, is 108 million light-years away. Its distance has been accurately measured by astronomers using one of the fundamental yardsticks of the extragalactic distance scale - pulsating variable stars known as Cepheids. Though intrinsically very bright, Cepheids are faint and difficult to find at such large distances (the bright "spiky" stars seen above are foreground objects). Thanks to the Hubble Space Telescope's sharp vision, more than 36 beckoning Cepheids have been identified in NGC 4603, now the most distant galaxy in which these stars have been located. 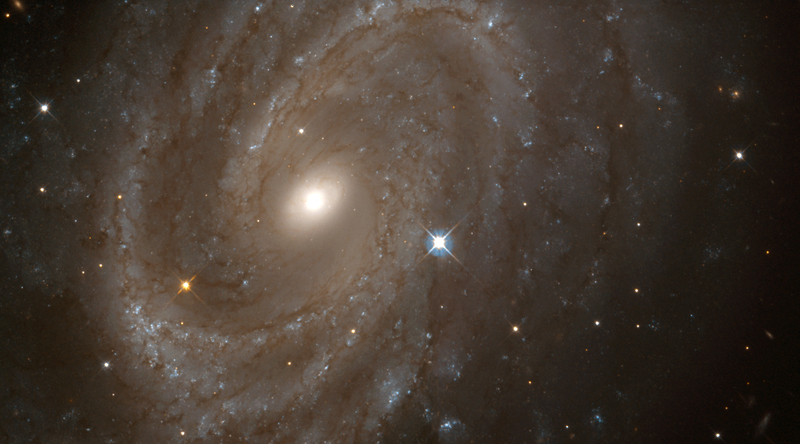 In fact, using the Space Telescope to pick out Cepheids in galaxies closer than NGC 4603, the Hubble Key Project Team has recently announced the completion of their 8 year effort to precisely measure galaxy distances and the expansion rate of the Universe - the Hubble Constant. 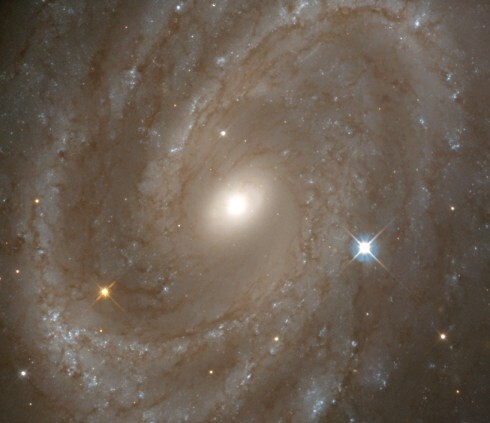 Based on their comparison of galaxy distances and recession speeds, they report that the Hubble Constant is 70 kilometers per second per megaparsec to an accuracy of 10 percent. This means a galaxy should appear to recede 160,000 miles per hour faster for every 3.3 million light-year increase in distance away. Accurately measuring the Hubble Constant was one of the major goals for the Hubble Space Telescope when it was launched in 1990.